Crosstalk Magazine July/August 2014 features some high profile software industry gurus with a range of topical, sometimes controversial, advice. There are also some interesting metrics I had not heard of before. This Crosstalk issue has the theme High Maturity Organizational Characteristics and is sponsored by The 309th Software Maintenance Group (309 SMXG), one of the first CMM/CMMI Level 5 (1998/2006) organizations in the US Department of Defense, but there are lessons here for organisations large and small. The entire Jul/Aug 2014 Issue can be downloaded free (PDF 15MB) or flipped through online using the new Digital Flipbook Version. Individual articles can be downloaded from the Table of Contents. In High Maturity Is Not A Procrustean Bed, authors Barry Boehm, Richard Turner, Jo Ann Lane, and Supannika Koolmanojwong contribute an article based on material from their 2014 book, The Incremental Commitment Spiral Model: Principles and Practices for Successful Systems and Software. The authors note that traditional process and lifecycle models are not meeting current challenges and the Incremental Commitment Spiral Model (ICSM) is the result of their efforts to better integrate the hardware, software, and human factors aspects of systems, to provide value to the users as quickly as possible, and to handle the increasingly rapid pace of change. The article provides interesting examples of “Procrustean” process consequences and also examples of how different risk patterns yield different processes. The authors go on to describe the ICSM criteria for determining which process or processes best fit a particular system and to illustrate how they have been successfully applied in various situations. Agile software development guru Dr. Alistair Cockburn contributes some new insights in his article Disciplined Learning: The Successor to Risk Management. 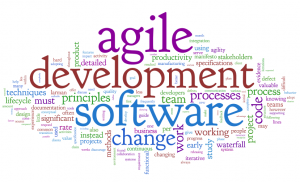 He suggests that “Naïve agile development works remarkably well, given how simple it is” but is less than optimal and insufficient for many situations. Disciplined learning adds to agile and updates risk management by incorporating some of the principles of agile development. Alistair warns that “Disciplined learning is neither obvious nor for the faint of heart, but it is in active use by top teams in many disciplines, who manage to deliver success in difficult circumstances.” The article goes on to illustrate the processes involved and the payoffs to be obtained from Disciplined Learning. It is interesting to compare the above articles with the “short study” by Capers Jones which comes next. Caper Jones sees Agile as a definite improvement for quality compared to waterfall development, but “not as effective as the quality-strong methods of team software process (TSP) and the rational unified process (RUP).” He goes on to make a strong case for reuse of Certified Materials as the best long-term strategy for achieving consistent excellence at high speed. The next article includes some internal metrics which were new to me, the Chidamber and Kemerer (CK) metrics, which can “assist users in understanding object oriented design complexity and in forecasting external software qualities for example software defects, testing, and maintenance effort”. by Jennifer Walters, Northrop Grumman and Kevin MacG. Adams, Ph.D., NCSOSE explains how internal metrics can be collected early in the software development phase to predict the support required during the operations and maintenance phase. Those internal metrics can then be teamed with external metrics to predict external quality as well as the maintenance support needs of the final product, and to drive software development process improvements. In the next article, there was a plaintive comment which echoed my own experience with many clients over the past 20 years: “Many engineers in industry and the DoD have never seen a detailed plan, let alone participated in making one.” The authors of this article share their experience as NAVAIR Internal Process Coaches, showing how far from reality the “by-the-book” approach to Continuous Process Improvement can sometimes be. Adoption: Routes to Continuous Process Improvement by David Saint-Amand, Naval Air Systems Command and Mark Stockmyer, Naval Air Warfare Center, starts with the Abstract: This paper covers the different types of teams the authors have encountered as NAVAIR Internal Process Coaches and how they approached Process Improvement with them, with special emphasis on the curmudgeons (bad-tempered, difficult, or cantankerous persons). The authors go on to give examples of “Canon vs. Reality”, where the by-the-book approach was far removed from what they encountered, and of the answers they have found that are applicable to most process improvement initiatives. The last article shows that even Level 5 CMMI Organisations are learning to question the accepted CMMI wisdom. Tom goes on to give a colourful and entertaining explanation of the problem and to describe the ‘heretical’ solution.